Prof. Md. Giashuddin Miah joined as the Vice-Chancellor of the Bangabandhu Sheikh Mujibur Rahman Agricultural University on 11th June, 2017. He was born in 1960 at Narsingdi District. Prof Giashuddin started his educational life from Sagardi Primary School and then Madhabdi High School and Narsingdi College, Narsingdi. He obtained his Bachelor of Science degree in Agriculture and then the Master of Science degree in Agronomy from the Bangladesh Agricultural University. He did his Ph. D from the Philippines in 1993 with distinction grade as IRRI scholar. He was the JICA fellow twice for pursuing Post-doctoral Research in Japan (Kyushu University, 1995-96, and National Institute of Agro-environmental Sciences, 2000). Prof Giashuddin enjoyed Commonwealth Scholarship twice for doing Post-doctoral research in Canada (Laval University, 2009) and United Kingdom (Nottingham University, 2013). He started his professional career in 1984 through joining Bangladesh Tea Research Institute, then Bangladesh Krishi Bank for a short time. He worked as an Agronomist at the Bangladesh Agricultural Research Institute for about nine years. Subsequently he joined at the Institute of Postgraduate Studies in Agriculture (now BSMRAU) as an Assistant Professor in 1994, and promoted to Professor Position in 2000. He is a skilled academician and researcher having 31 years experiences in the field of agroforestry, resource-use, and environment especially climate change. Prof. Giashuddin is the pioneer for institutionalizing agroforestry research and education in Bangladesh and subsequently established an academic Department in the name of “Agroforestry and Environment” in 1996 at the BSMRAU, the first, foremost and a leading department in this discipline in Bangladesh. Following his effort, other Agricultural Universities of Bangladesh have opened academic Department for agroforestry education. He has supervised 85 MS and 18 PhD students, and currently supervising 3 PhD and 3 MS students. Prof. Miah has successful implemented many international projects funded by APN, EU, FAO, ICRAF, UNESCO, USDA, World Bank etc. in collaboration with national and international partners (Several Universities of Australia, China, Japan, India, Indonesia, Nepal, Sri Lanka) and a series of national projects. He wrote two books (in Bangali), chapter of several books and published 103 research articles in the national/international reputed journals. He is an active members of more than 25 national and international professional bodies, and member of editorial boards of three reputed journals. He has held many important positions in his renowned University as Dean of Graduate Program, Treasurer (appointed by the Honorable President of the country), Syndicate member, Selection boards, Academic Council, Planning Committee etc. He had served as the member of the Syndicate for three years at the Sylhet Agricultural University. He has been serving as the member selection committees of several public Universities of Bangladesh. 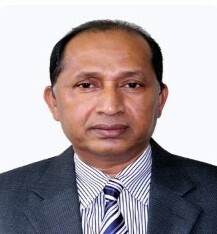 Since 2005, Prof. Miah has been representing Bangladesh in a reputed network, Asia Pacific Network for Global Change Research (APN) and active members of its various important bodies such as Capacity Development Committee, Steering Committee, Scientific Planning Group (SPG), SPG Sub-committee and South Asia Sub-Committee. Recently he has been elected as SPG Co-Chairs of APN for the next two years. He has been assisting in the expansion of ICRAF’s (World Agroforestry Centre) South Asia mission in Bangladesh since its inception through providing liaison and other support, and by serving as its first liaison scientist for Bangladesh. He attended a number of international events (63) in various countries across the world. He severed as the Chairman of the Governing body of the renowned Girl’s School and College, Madhabdi for about 9 years and made significant contribution in improvement of academic and infrastructure. He received “Amor Ekushey Sriti Padok – 2016” given by Bangladesh Education Observation Society.